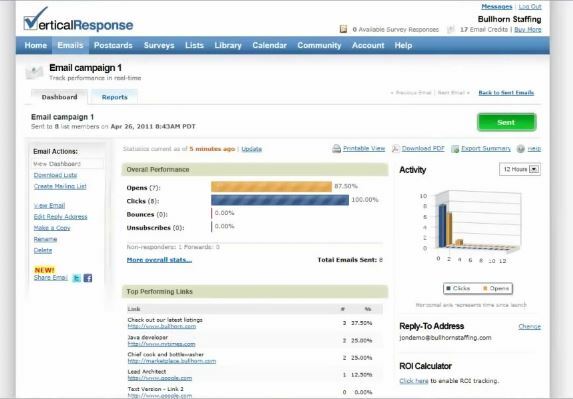 Whether you are creating your first email or you’re a seasoned pro, VerticalResponse has an email creation tool to suit you. From Internet newbies to graphic designers, VerticalResponse takes the work out of creating your email and guides you through the process in just a few easy steps. 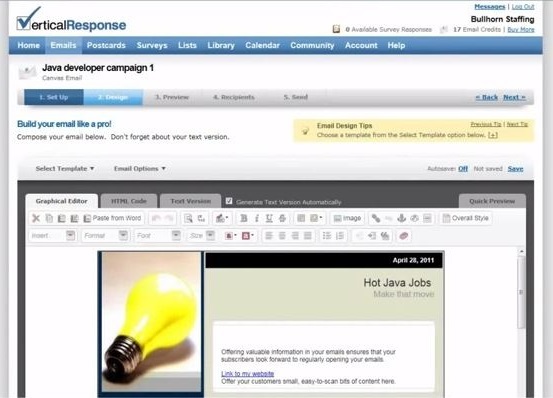 VerticalResponse offers four ways to create your email, and the choice is yours. You can switch between them at any time depending on your level of technical expertise or the message you’re creating. 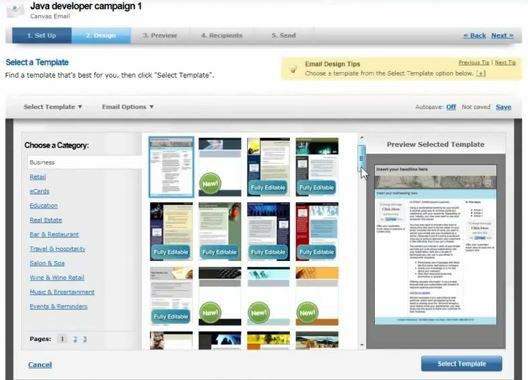 Build Your Email Like a Pro! VerticalResponse has an exclusive, dedicated team focused on making sure your email gets delivered. Manage your unsubscribes and bounces to ensure your company abides by federal CAN-SPAM laws. Stop guessing whether your marketing is working or not – VerticalResponse will tell you! Track who opens, clicks, visits your website, and purchases from your email. Use the free email sign-up form on your site to grow your email list and gain new customers. Quickly and easily upload your existing email list or import from Gmail, Yahoo! Mail, Hotmail, and others. Award-winning customer service team provides free support 7 days a week via phone, email, online chat, and Twitter. The website has demos, videos, tutorials, webinars, podcasts, and more to get you started in no time. 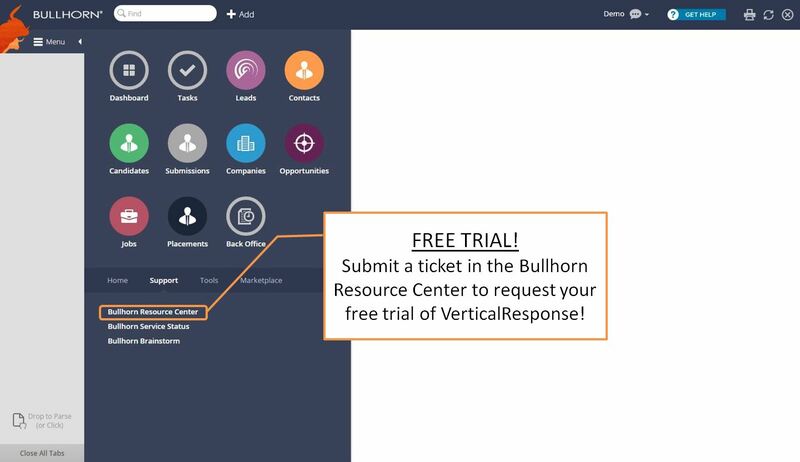 FREE TRIAL OF VERTICAL RESPONSE WITHIN BULLHORN! Sign up with ease for a free trial of VerticalResponse! Start in the Menu, select Support, and open the Bullhorn Resource Center. From here you will be able to submit a ticket to Bullhorn Support to request activation of your free VerticalResponse trial on your account!